Cove Park is a centre for established artists situated on the west coast of Scotland in 50 acres of spectacular countryside. 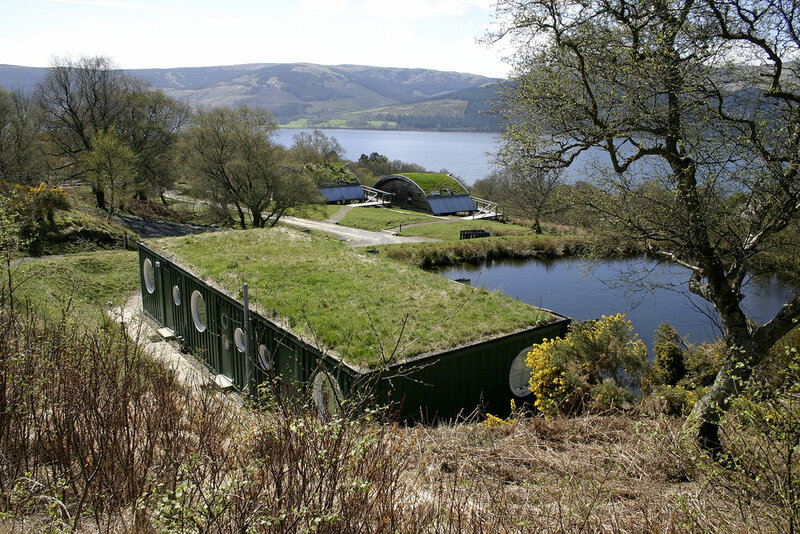 In 2002, Container City created three en-suite accommodation units (known as 'cubes') to act as artist retreats. In order to blend into the rural surroundings sliding glass doors were installed that lead out onto the decked balcony that extends over a lake with beautiful views of Loch Long. Due to the success of the first three units, six more were commissioned and completed in 2006.